I’m going to state right up front that I have no faith in the efficacy of this recipe. Perhaps it’s because I’m in a grumpy-ish mood. It’s Sunday. It’s the weekend. It’s my one day to relax (Saturdays are usually given over to the pursuit of household provisions and running errands, as everything is closed on Sundays in Germany). Yet our cats seem to think that I am not only their personal slave – foolish human for thinking otherwise – but also their Sunday morning entertainment co-ordinator and the referee of their not-too-infrequent ‘playful’ squabbles. My boyfriend is snoring away in bed, snuggled warmly under the blankets and blissfully unaware of the feline-driven domestic chaos out here in the living room. So, the foolish human decided to escape to the kitchen. Usually this is no dampener to them – they simply slink in and beg for food in as annoying a fashion as possible until I capitulate (2 of our 3 cats are my boyfriend’s, and they had him very well-trained before I came along. The 3rd one eventually learned that this could be twisted to his advantage, too, and he now suddenly makes an appearance whenever the other cats head towards the kitchen). However, I’ve found a recipe that’s highly unlikely to have them begging for anything. 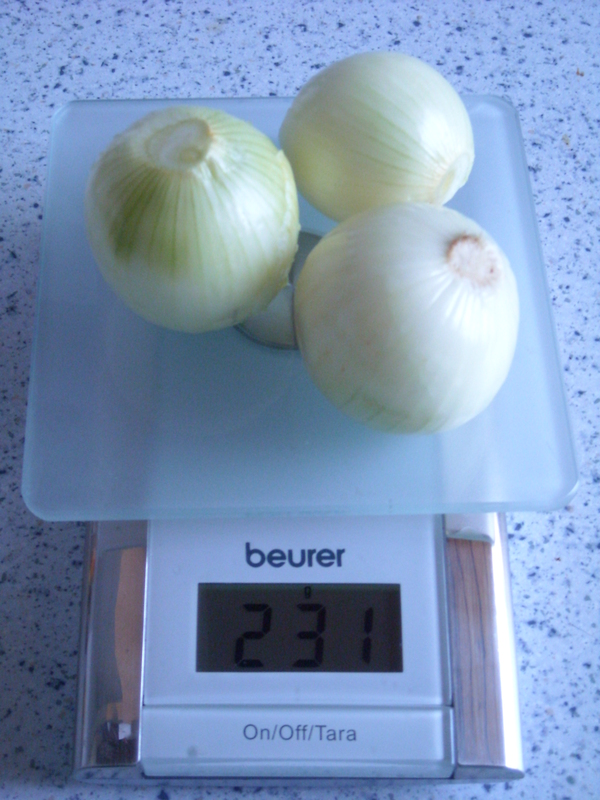 INGREDIENTS – 1/2 lb. 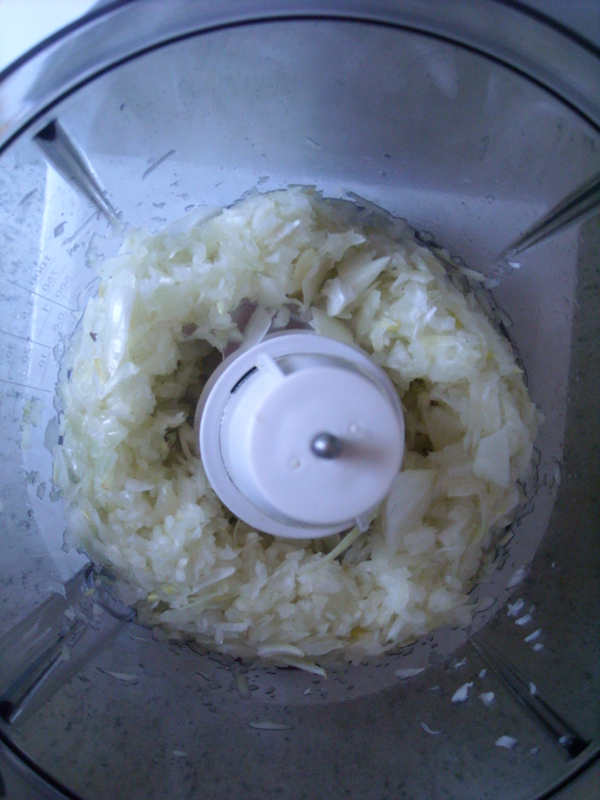 of onions, 1/3 pint of water, 1/2 lb. 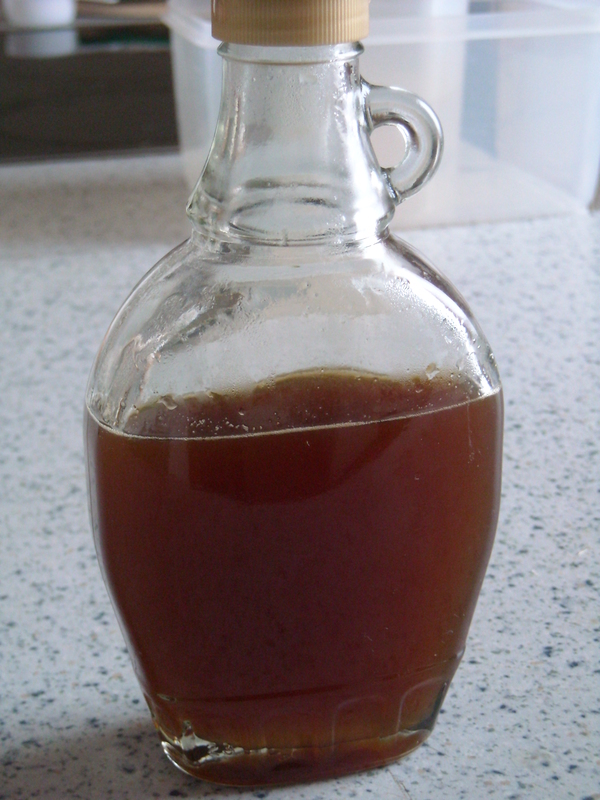 of moist sugar, 1/3 pint of vinegar. The thing is, Isabella Beeton doesn’t exactly say what this burnt onion is for. I’ve looked at the recipe with curiosity a few times, and as far as I can guess, it’s used to add colour and flavour, rather than being a sauce in its own right. Somehow, I feel rather dubious about it. Normally I use soy sauce to enhance the colour of my gravies, but, in the interests of experimentation and cat-riddance, I’m willing to try it out. In advance of making it, though, I just can’t see how this would make a gravy taste even remotely appetising. We’ll see. 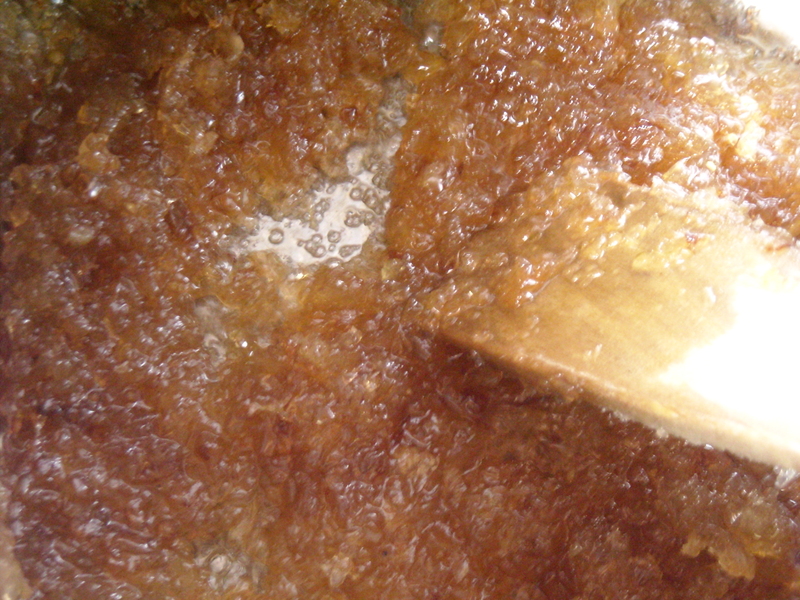 An immediate problem rears its head – moist sugar. It seems to be making an ever-frequent appearance in the recipes I’m trying. I really need to find a modern equivalent (e.g. molasses) on my next foray into town. In the meantime, I’ve decided to use raw sugar, as that’s all I have available until the shops re-open on Monday. Anyway, undoubtedly not every Victorian housewife had moist sugar to hand, and had to find a suitable substitute from whatever they had to hand. As anticipated, the cats pelted in all directions as soon as the onions began to boil (I wanted to run away too – boiled onion is not pleasant to the nose. Even my boyfriend, inured to unpleasant scents (he doesn’t realise the kitty shitter needs cleaning until I start dashing past the utility room where the litter box is, pinching my nose and gagging), will probably wake up when the reek starts wafting into the bedroom. The recipe’s instructions are not entirely clear, but I gathered that the onion liquid (what liquid, by that stage?) is supposed to be strained into the boiling vinegar. Never one to err on the side of caution, I tipped everything in together and simmered it again for a few minutes, until thoroughly well incorporated. And then came the moment of realisation. “Hang on, isn’t this just brown sauce?” I wondered. When I lived in Scotland, many years ago, the national sauce was – and probably still is – Brown Sauce (even in Scottish McDonald’s, you could get brown sauce alongside the tomato ketchup sachets). It’s something of an acquired taste, but the vinegary-tang is quite enjoyable once you’re used to it. I’m fairly sure that this ‘burnt onion’ liquid is, in fact, a predecessor of the modern Brown Sauce (correct me if I’m wrong). In fact, as soon as I associated Mrs Beeton’s sauce with the Scottish sauce, suddenly it seemed a lot more attractive. I’ll try this tonight in a gravy, and see whether or not it works as well as Brown Sauce does. This entry was posted on February 28, 2010 at 10:56 am and is filed under food. You can follow any responses to this entry through the RSS 2.0 feed. You can leave a response, or trackback from your own site.